We could go on all day about Kauai’s majestic mountains, lush jungles, dramatic cliffs, and sunny beaches. 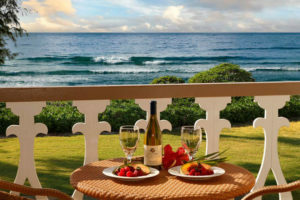 But, the best thing you can do is book a week at oceanfront rentals on Kauai for families to see it for yourself. Better yet, enjoy Hawaii’s natural beauty from one of the island’s incredible hiking trails. 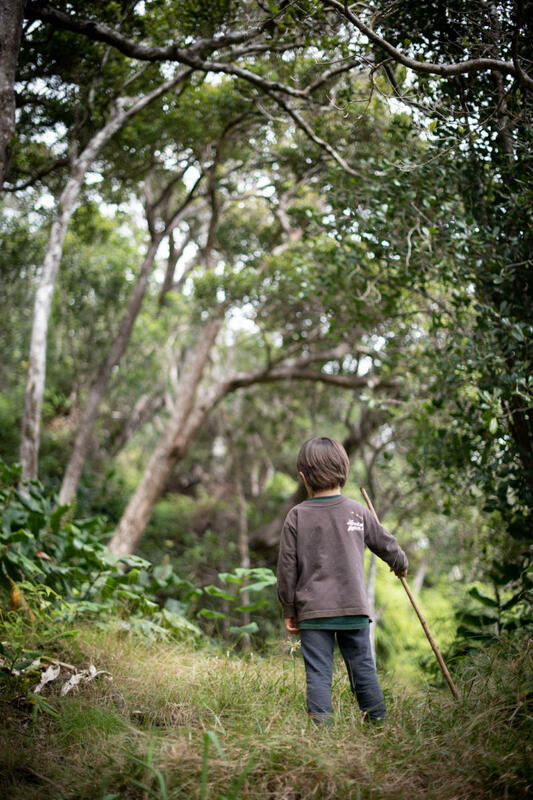 Admittedly, not all Kauai hiking is accessible – especially for families with kids. Some trails are recommended for avid hikers only, and others involve steep or rough terrain too difficult for the average adult like in Waimea Canyon. Fortunately, there are some excellent all-level trails with great views. Hiking is one of the best family-friend Kauai activities. We have compiled a list of the best hikes almost anyone can handle, all of which consider these factors: trail distance, accessibility by car, terrain, and slope height. 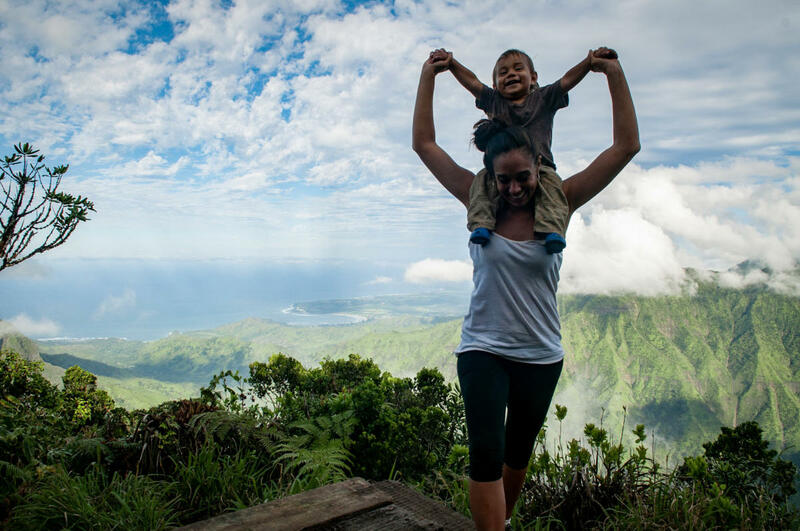 With bottled water, a light backpack, and some determination, your family can tackle these amazing Kauai trails. Vista of Hanalei Bay & Wainiha Valley from Alakai Big Trail in Kokee State Park. Enjoy lush jungle vistas on the Kuilau Ridge Trail. The trail is one of the shortest on the island, and can be completed within an hour, even with kids. The trail leads up along Mount Waialeale, offering jaw-dropping views of the Makaleha mountains. The trail is rated easy, and is 3.7 miles long. 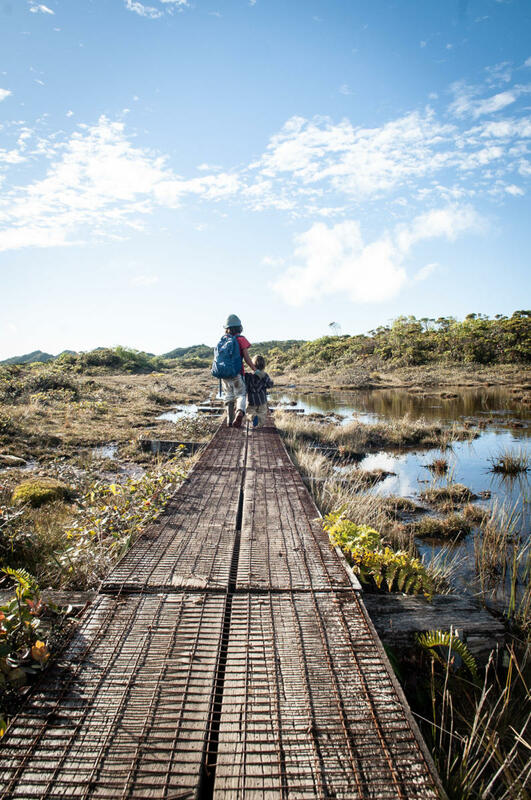 It does have a few muddy spots due to steady year-round rainfall, which contributes to the island’s thick vegetation. Due to its popularity among families, the trail is wide and well-maintained by the city. The trailhead is located at Kuamoo Rd., Kapaa, Kauai, HI, 96746. 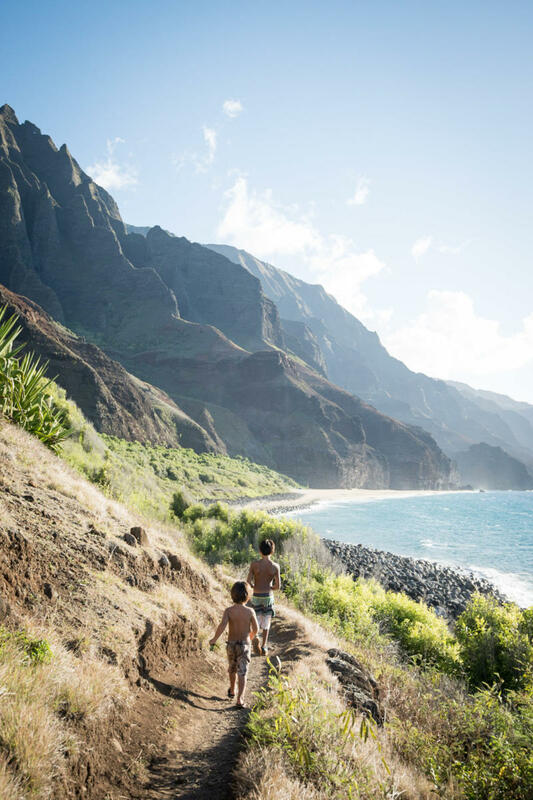 Kalalau Trail along Napali Coast State Park provides breathtaking views that leads to a beach, but at 12 miles round-trip, it is only suitable for older, adventurous kids. The Nounou Trail, locally known as the Sleeping Giant, is another accessible trail for families. Though it lacks facilities and water, the trail is a short, two-mile out-and-back across the face of Mount Waialeale. In just a couple of miles, you get views of the mountains, the Wailua River, and the Pacific Ocean. There is a lookout point and picnic area at the top of the trail, with some rocky sections towards the middle. The trail is located a five-minute drive outside the town of Wailua. If the lack of facilities is a concern, you should have no problem finding a restroom before or after the walk. Find the trail at 5750 Kuamoo Rd., Kapaa, HI, 96746. Kokee State Park has many more trails, and provides vast changes in scenery. Despite its daunting cliff views, Okolehao is incredibly accessible. The trail lookout can be reached in about 30 minutes. The trail is right by Hanalei on the north shore of the island – much less remote than some of the island’s central hikes. The slopes of this 2.5-mile trail will give you a bit of a workout, but it is still manageable. Its 1,250-foot elevation offers astonishing views of Hanalei Bay and the valley below. Alakai Big Trail Boardwalk in Kokee State Park on the West Shore of Kauai, Hawaii. Waipoo Falls is a huge, 800-foot waterfall that tumbles into a clear water basin below. You can see the falls from a number of Highway 550 lookouts, but only one trail will get you close enough to feel its mist. The Waipoo Falls trail is a 3.2-mile roundtrip hike to the famous falls. Enjoy a walk along the canyon rim and through rainforest, ending with a majestic view from the top of the falls. This trail isn’t very steep, making it a great path for children and families. You can enjoy a multitude of Kauai activities for kids, from snorkeling to biking to kayaking to hiking. There’s a lot to pack in on your Hawaii vacation. 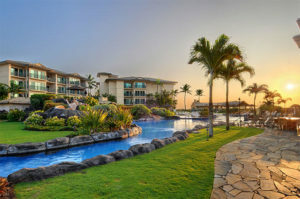 Waipouli Beach Resort and Spa is a great place to rest your head at night after a full day of adventuring. 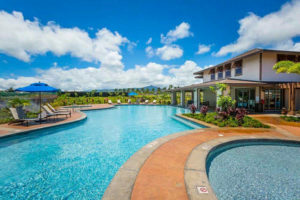 Check out our many Kauai rentals on our map and book your next vacation with the kids.